Websites are powerful business tools and our team knows how to harness this power to create websites that are engaging, easy to use, speak to the target audience and guide them to the desired outcome. We design and develop websites that lead to conversions and accomplish business goals. We handle all aspects of the design and development of your website and have a tried and true approach that helps achieve the optimal outcome as quickly as possible. We work closely with you to build a development timeline so you know exactly when we’ll hit key milestones, including the website launch. Each website project starts with a kick-off meeting where we determine the overarching goals for the website, define the target audience, and discuss desired features and functionality for the website. Our next objective is to create a sitemap that outlines the basic navigation and content organization on the website. This shows how a user will navigate the site to ensure visitors find the information they need easily. We’ll work with you to craft engaging website content that will communicate your key messages and keep users moving through the website. We’ll also infuse content with key words and phrases to help optimize the website for optimal search engine rankings (SEO). Now it’s time to put a little more meat on that sitemap. During this phase, we’ll create a wireframe to illustrate the components and proposed content flow of the website. This is where you’ll see the bones of the website take shape. Now that the information architecture is finalized, our designers get to work on creating an engaging visual environment. We always conduct our web design with your brand and target audiences in mind. When appropriate, we build our websites on a user-friendly Content Management System (CMS) that makes it very easy for you to update and maintain the site. Once the site is launched, we believe you shouldn’t have to come back to us or pay us for management or regular updates, although we are always happy to help in any way you need. After production of the website is complete, Target will release the fully functional site on a privately accessible server for beta testing. Here, we’ll test the site to make sure it’s functioning properly and make sure that it looks great on major browsers and platforms, both desktop and mobile. You won’t believe how easy it will be to manage and update your site when it’s done. We’ll provide you with all of the tools needed to manage and update the content and imagery on the website. It’s the moment you’ve been waiting for – your new website will be publicly accessible and the old site (if applicable) will be archived for posterity. 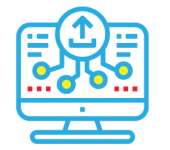 Now that your website is live, we can help you monitor its performance and optimize the site for the best possible search engine rankings (SEO). We will also help you optimize the site for both customer acquisition and conversion.